A winner, and another giveaway! 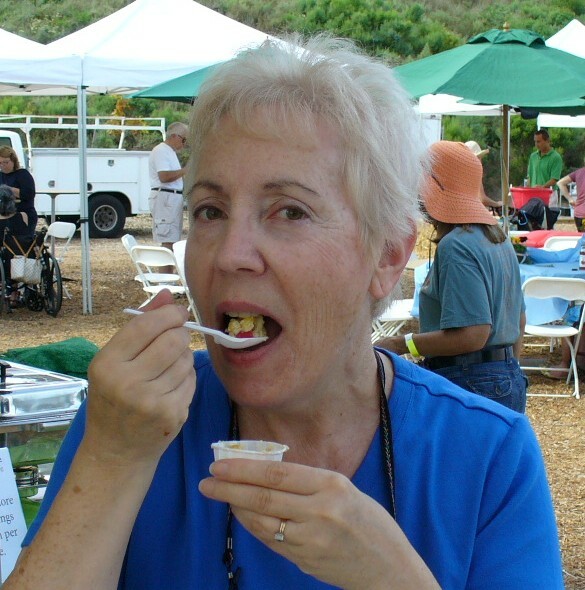 I’m happy to announce that Barbara Croonquist of Riverside won the free copy of Murrieta author Linda Amendt’s “Gluten-Free Breakfast, Brunch & Beyond” (Taunton Press, 2013), which I wrote about in September 2013. Each 2.4-ounce energy bar also contains peanuts, organic rolled oats and raisins, among other goodies, and weighs in at 250 calories, 70 from fat. Suggested price is $1.39 per bar. 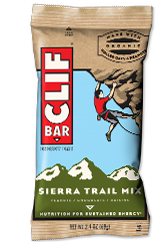 The CLIF Bar folks are offering three giveaways to readers who post a comment on this beyondbites.blog entry. Add your comment below by March 15, and I’ll choose three at random for a free gift pack of CLIF Bars! This post was corrected on Feb. 17, 2014 from its original writing. St. Blaise is not the patron saint of cooks — that would be St. Lawrence — but he is the patron saint of throats, which is the main way we experience our food. (That’s how I’m making this a food-related post, guys.) Today is his feast day, and on this day, Catholic Churches still conduct the annual blessing of throats associated with his memory. (Legend has it he cured a child who was choking on a fishbone.) I went to parochial school for six years, and after morning Mass on Feb. 3, we would line up to receive our individual neck check. Some priests just held two candles together in one hand in the shape of an X; in other parishes, the candles were specially formed to go partly around the neck. The priest held the juncture of the candles briefly to the person’s throat while asking St. Blaise to save us from all related ailments. A comforting ritual, as many rituals are meant to be. I just wanted to give St. Blaise a shout-out and a thank you on his special day!